Azizi Developments is pressing ahead with scores of new towers across Dubai despite the weak residential property market. The company’s chief executive, Farhad Azizi, told The National that he expects between Dh8 billion and Dh10bn worth of new projects to get under way this year, including two-tower schemes at Dubai Studio City and Dubai Sports City and, most notably, a major project at Meydan that he described as ” bigger than all of our other things put together”. The company bought more than 180 plots at the Meydan One between February and April this year, which it subsequently amalgamated into 76 plots, intending to build a low or mid-rise apartment tower on each. The units will mainly be studio, one, two and three-bedroom apartments, ranging in price from Dh500,000 to Dh2 million. The 76 plots will be developed over four phases, with contractors appointed to deliver the first two under Dh1.7bn contracts signed this month. “The others will be starting as well, however, they will start later. Then we will see how the demand is and how things move,” said Mr Azizi. Recent studies published on the performance of Dubai’s residential market have indicated that sales and rents are continuing to decline, largely as a result of economic uncertainty. Cluttons said in its Spring Market Outlook that house prices remain 7.8 per cent lower than a year ago, and transaction volumes in the market for completed homes is 18.4 per cent lower. There is, however, more interest in the affordable, off-plan sector in which Azizi is operating, with the overall number of transactions increasing by 14 per cent year-on-year in the first two months of the year. Mr Azizi said his firm’s month-on-month sales have been stronger in each of the first three months of 2017. He argues that most of this demand is generated by international buyers. “To be honest, we thought it was going to be a year full of uncertainty. But we’ve felt that uncertainty globally is actually helping this country. Despite launching a series of developments before the 2008 financial crisis, the company only finished its first Dubai project, Azizi Yasmine, in September last year. However, since then, the company has completed five towers in Al Furjan and Mr Azizi said it expects to hand over seven more this year. Coupled with the completion of its 90-apartment Royal Bay project at Palm Jumeirah in June, he said Azizi Developments will complete more than 1,000 apartments this year. 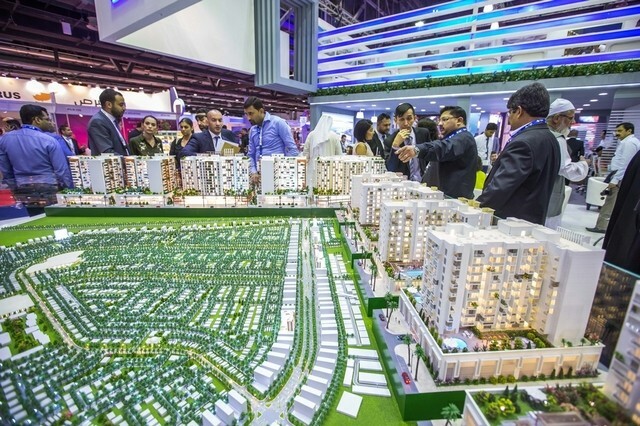 Masood Al Awar, the chief commercial officer of Dubai Properties, said his firm sold a number of properties when exhibiting at the Dubai Property Show in Shanghai late last month. He argued that Dubai’s population and job creation growth mean the outlook in the city is generally positive, but by tapping markets such as China developers can generate more than enough demand to fill the growing supply pipeline (A first-quarter Cavendish Maxwell survey said that 35,000 units are scheduled for completion between now and the end of this year). “If you focus only on the drop of a needle, you are oversupplied [with buyers],” Mr Al Awar said.